What will a new Russian space station look like? Russia is looking to work with the U.S. on a new space station. It is expected that Europe and the BRICS states will also take an active part in the project. RBTH talked with Igor Komarov, head of the Russian Space Agency, in order to find out why the countries decided to put their political disagreements aside for the sake of this project and to learn more about the future development of international space relations. Igor Komarov, head of the Russian Federal Space Agency (Roscosmos), announced in March 2015 that Russia and the U.S. would work together to build a new space station. According to him, other interested parties may join the project in addition to the current ISS participants. In particular the BRICS countries are expected to contribute. Official sources at NASA have confirmed that discussions on the subject are taking place, but said that no deal between Russia and the U.S. to build a new space station has been signed. Komarov made the unexpected announcement regarding the creation of a new space station during a joint conference with the head of NASA Charles Bolden at the Baikonur Cosmodrome, wherefrom a new mission was recently sent to the ISS. It appears that relations between the countries have had a "cosmic reset." Earlier, Roscosmos had threatened to halt work with the ISS until 2020. There were also rumors that Russia would create its own national space station. However, everything has now changed. Moreover, in the words of Komarov, Roscosmos is prepared to continue operation of the ISS until 2021, as NASA had proposed before. Komarov emphasized that the decision of whether or not to extend the life of the ISS will be made in 2016. The cause of this sudden convergence in space is the wish to optimize scientific programs and conduct more experiments without making additional investments, says the head of Roscosmos. According to Komarov, NASA proposes attracting firms to conduct experiments on board the ISS. "We will now also examine what possibilities there may be for Russia's largest companies," Komarov says. According to him, they are thinking of possible experiments in biology, chemistry, metallurgy and other fields. Cooperation between the ISS country-participants will be close, as they collaborated closely on their last mission. “We agreed to determine a mechanism for information exchange and jointly use equipment that we have and they (Americans) have,” Komarov says. Neither Russia nor the U.S. has enough in the way of funds for independent scientific breakthroughs, Skoltech president and MIT professor Edward Crawley said in an interview with RBTH in 2014. Programs for deep space discovery and flights to Mars require massive spending with little hope of recovering investments. Therefore, joint projects between countries have become financially attractive. “Together we can resolve many more problems while burdening our budgets less,” noted Komarov. In addition, he thinks that the development of international cooperation is pushed forward by Earth’s shared dangers, including the threat of asteroids. The space station that Roscosmos and NASA have discussed will not just be a “new version of the ISS.” Technology has sprinted forward and the agencies face other, far more complicated tasks. "Duplicate and reproduced modules do not make sense," Komarov says. "In the future the function of the station will change and so will its configuration." In his opinion, the station will serve as a stopover for missions to the moon and distant planets. At present, a group from among ISS participants is studying the potential for the use of the new station. "Together we will determine the architecture that this station will need," Komarov says. 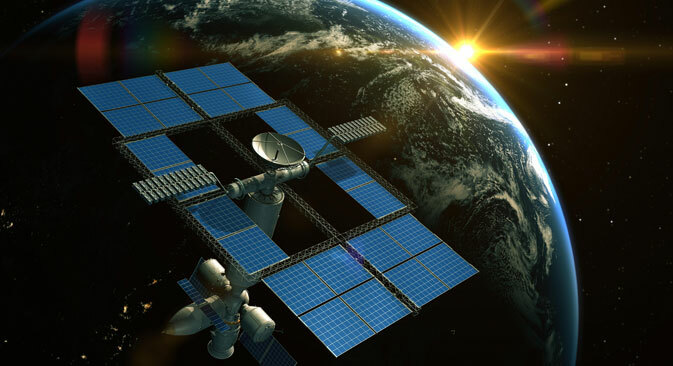 Modules developed by the Russian side will also ensure that it is possible to create an independent national satellite station in the event that one becomes necessary.